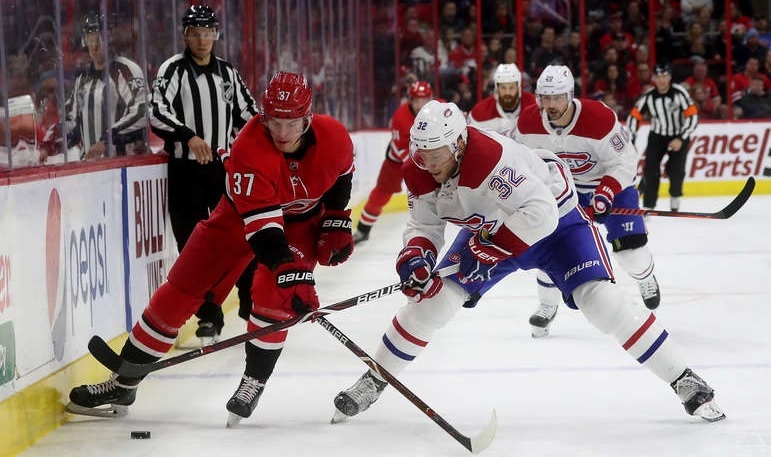 Thursday night’s disappointing result means that the Habs playoff fate now rests in other teams faltering down the stretch. Whether Columbus or Carolina do or don’t falter, the Habs still must do their part and win to remain in the hunt. That won’t come easy as they face some of the best to close out the season. This difficult stretch of games started with this Saturday’s road contest against the Winnipeg Jets who are also in a race at the top of the Central Division. The good news for Montreal is that the last times these teams met was one of the best games of the season for the Canadiens. The bad news is that Winnipeg was getting Dustin Byfuglien back for this game. No big surprise in net considering the stakes as Carey Price faced Connor Hellebuyck. Claude Julien threw my argument in favour of Jesperi Kotkaniemi in the dumpster as he scratched the rookie for this game. Suffice to say that this writer disagrees with the decision, but I’m not the coach. Julien opted to play new coach-favourite Jordan Weal as the third line centre between Jonathan Drouin and Joel Armia. Matthew Peca drew in as the fourth line right winger next to Nate Thompson and Nicolas Deslauriers. Despite my thoughts on the decision, the Habs came out and played what was a near immaculate road game to skate away with a 3-1 win against. Unfortunately for the fans, a good road game means boring hockey to watch. Unfortunately for the Habs, both the Blue Jackets and Hurricanes also won, so this win only means that the Habs stay close. The entire first period looked more like a chess match than a hockey game. Both teams were entrenched in their defensive positioning and were not letting go of it. A few successful pinches by Jeff Petry set up a good shift from the Max Domi line early but that was followed by some defensive zone shifts for the third and fourth lines. At 13:25, Domi dangled three Jets before making a pass to Artturi Lehkonen who shot and beat Hellebuyck. However, this is Lehkonen, so he hit the post and the game remained scoreless. That was it for scoring chances despite the Habs holding a distinct advantage in shots. With five minutes to go, a good forecheck by Phillip Danault and Tomas Tatar created a turnover and a scoring chance for Brendan Gallagher who couldn’t solve Hellebuyck. With three minutes to play in the period, Nikolaj Ehlers tripped Armia in the Habs zone for the game’s first power play. The usually horrid man advantage made short work of it this time around as three unusual suspects teamed up to score only eight seconds in. Weal won the draw and then accepted a pass from Drouin at the point to start a tic-tac-toe with Danault next to the net. He passed it to Armia in front who quickly chipped it past Hellebuyck. With that, the Habs took the lead to the intermission along with their 15-5 shot advantage. 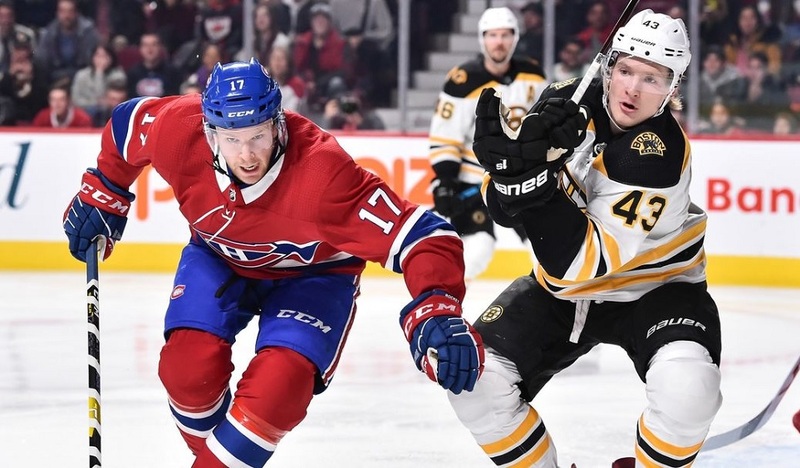 The stalemate continued well into the second as the Habs continued to play an immaculate road game. This time the shot clock displayed the pace of the game as teams had two shots apiece five minutes into the period. With 11:30 to play in the period, Domi deked Dmitry Kulikov so Kulikov tripped him to not let him get in alone on Hellebuyck. On the second power play of the night for the Habs, the top unit looked quite dangerous as Hellebuyck came up with two big saves on Armia and Domi to keep the score at 1-0. With six minutes to go, Price juggled with the puck, and then Byfuglien rang an awkward angle shot off the post. This gave Winnipeg a bit of confidence as they really controlled the rest of the period. The Habs did an excellent job of defending though as they did not give up too many quality chances. That changed with a minute left in the period when Tyler Myers sent Patrik Laine off to the races as he caught Christian Folin cheating. Folin did a good job getting back in position and forced Laine to pass the puck in the slot to Kevin Hayes who also rang one off the post. This second post was far more costly as with 35 seconds to play, Domi won a puck battle deep in the offensive zone. This allowed him to pass it back to Brett Kulak who went across to Petry. He fired a slapshot through a crowd, off the post and in for a 2-0 lead to go with a 14-8 shot advantage in the period. The Jets came out strong in third as expected down 2-0. The Habs managed it relatively well for the first five minutes as they did not give up much space in the dangerous areas on the ice. With 13:34 to play, Blake Wheeler caused a turnover deep in Montreal territory with a slash to the hands of Jordie Benn to earn a third Winnipeg minor in the game. This is where the NHL gets in trouble with their changing of the rules throughout the season. In October, Wheeler’s slash was a call three times per game. When down 2-0 in the third period with 13 minutes to play in March, this was not a call against Columbus or Carolina. The consistency must drive the coaches absolutely insane. Needless to say that the Jets were outraged at the call and that the official got an ear full. The first minute of the advantage looked good as they passed it around and Danault even missed a great chance to extend the lead. The Habs paid for their failure to convert as a few minutes later, the fourth line was absolutely scrambling all over the defensive zone. This scramble got worse after a Jacob Trouba point shot as Victor Mete and Folin both attempted to find the rebound instead of completing their coverage. Peca picked up the first player in front of the net, but Deslauriers was just too slow for his coverage and Mathieu Perreault was able to put home the rebound with still 8:35 left to tie the game. The goal clearly gave the Jets hope as they controlled play for the next five minutes as the Habs held their one-goal lead with all their might instead of trying to change momentum and attacking themselves. After weathering the storm that followed the goal, Montreal returned to their defensive posture to keep this game nice and boring. Winnipeg had a few more chances with three minutes to play but this time Price made some huge saves including a few unorthodox ones while scrambling across his crease. The Jets pulled Hellebuyck with a little over a minute to play, but this only resulted in Andrew Shaw winning a foot race against Byfuglien to set up Weal with the empty netter for a 3-1 win. Domi continued to be the offensive catalyst for the entire team. Tonight, he got help from the power play but the second Montreal goal came from Domi’s determination to win puck battles all over the ice. This doesn’t even consider his ability to hypnotise the opposition with the puck in zone entries for his linemates to get open. In Domi, the Habs have an offence-first player that doesn’t consistently cost his team on the defensive end. Stats: 1 assist, +2, 4 shots, 18:32 T.O.I. Petry continues to have an excellent season. He had the game-winning goal, he was the most used player in the game, and had strong defensive play with good pinches. He’s quietly become the leader on the blueline with Weber acting as a mentor for the young Mete. Stats: 1 goal, +2, 4 shots, 1 hit, 24:07 T.O.I. 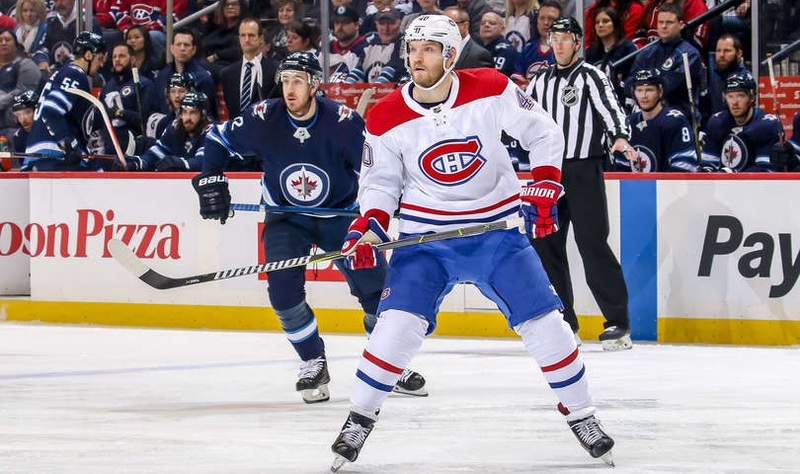 Danault is shattering his career-best stats offensively while remaining the go-to defensive forward. He faces the opposition’s best every night, kills penalties, has become a productive 5-on-5 player, and on this night, he made a savvy pass on the man advantage to get the league-worst power play to produce in a must-win game to save the season. Stats: 1 assist, 0 (+/-), 2 shots, 2 hits, 16:59 T.O.I. Many (including me) wondered what Julien was thinking when he moved Lehkonen next to Domi up on the second line. Lehkonen has responded with some great hockey, as he looks like he did in October instead of looking like he has since December. He’s causing turnovers and driving the net to create space all over the ice for Max Domi. He’s also ultra responsible, relieving Domi of some extra responsibilities that he had when playing with Drouin. Stats: 0 points, +1, 6 shots, 2 hits, 15:38 T.O.I.